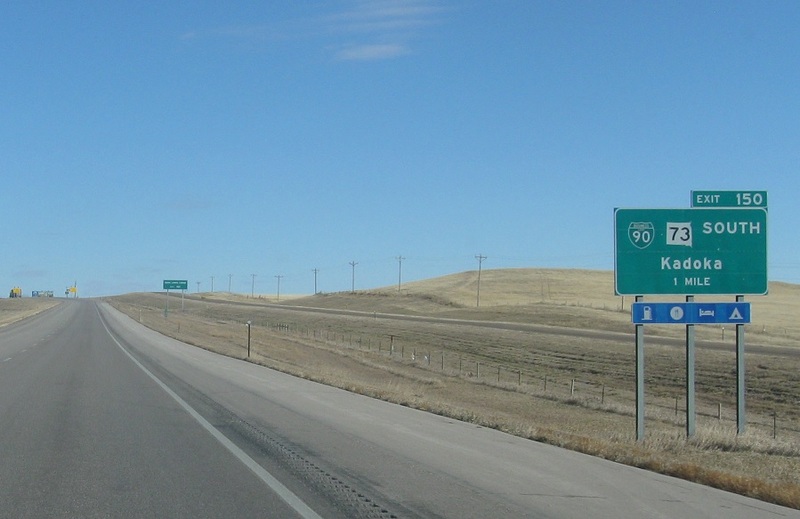 Reassurance shield as SD-73 joins I-90. 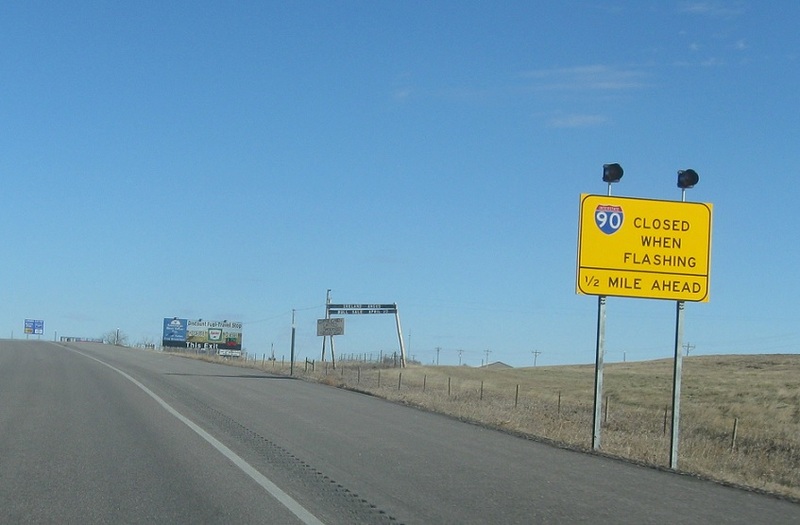 A few miles later, we’ll approach the I-90 Business loop in Kadoka. 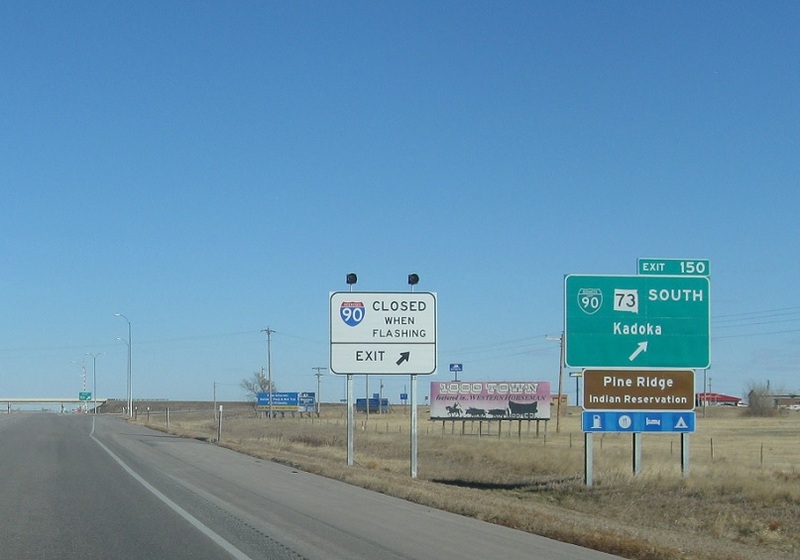 Exit for I-90 Business into Kadoka. 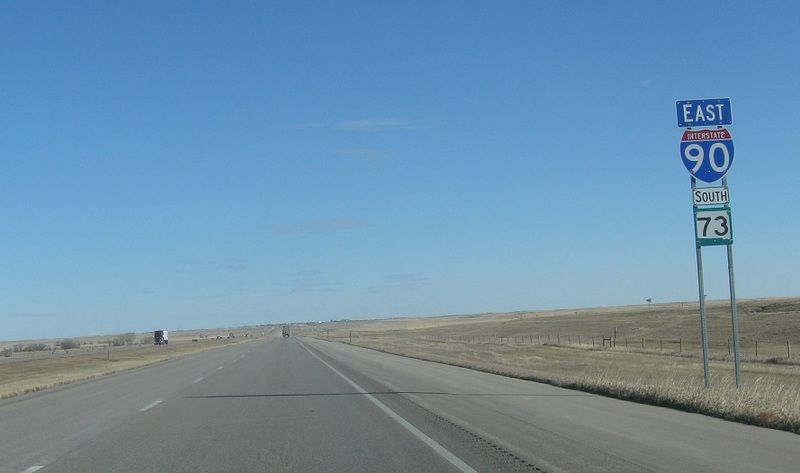 SD-73 will go with it.